Point Pleasant junior Evan Cobb (34) attempts a shot over a leaping Ravenswood defender during the second half of the Big Blacks’ 80-44 loss on Friday at Point Pleasant High School. POINT PLEASANT, W. Va — Score early. Score often. The Big Blacks returned to the hardwood in non-conference action Friday night as they hosted the Ravenswood Red Devils and fell victim to an 80-44 defeat. The visiting Red Devils (10-0) utilized an 11-2 run in the initial minutes of the first quarter while building a 14-7 lead headed into the second period of play. 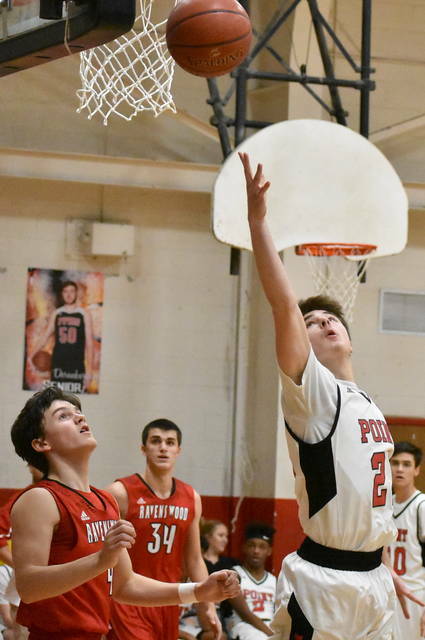 Turnovers proved to be the difference in the second quarter, as Ravenswood pulled away from the Red and Black to build a 36-17 lead at halftime. The Big Blacks (1-8) committed 16 turnovers compared to just three giveaways by the Red Devils in the opening half. Overall for the contest, PPHS finished with 27 turnovers and RHS had only 10 miscues. Despite improving its offensive output in the second half of play, Point Pleasant was outscored 44-27. Overall for the game, the Big Blacks shot 19-of-35 from the field for 54 percent, including 6-of-18 from beyond the three-point arc for 33 percent. The Red Devils, conversely, made 29-of-69 field goal tries for 42 percent, including 2-of-8 three-point attempts for 25 percent. Ravenswood also topped Point Pleasant on the boards, as the Big Blacks were outrebounded by a total of 31-22 in the game. Ten different players scored for the Big Blacks, with junior Evan Cobb leading the way with nine points. Cobb scored all of his points in the game’s fourth quarter as he hit four shots from the field, including one three-pointer. Hunter Bush also found success from beyond the three-point arc, hitting two trifectas en route to an eight-point performance. Kyle Martin posted six points, while Malik Butler hit one three-pointer and finished with five points. Trace Derenberger finished with four points, while Braxton Yates and Camron Long had three points apiece. Kade Oliver, Casey Lowery and Blake Diddle each had two points to round out the scoring. Ravenswood had four players finish the game in double figures, as Isaiah Morgan led all scorers with 21 points. For the visitors, Jayden Rhodes finished with 12 points, while Chase Swain and Stephen Dawson had 10 points apiece. 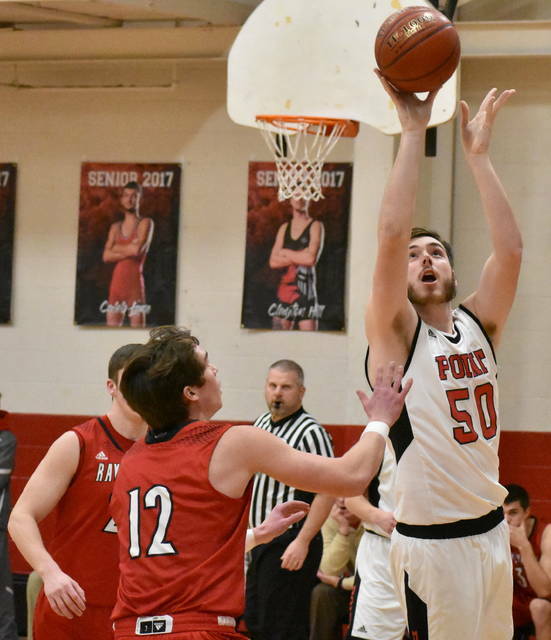 Blake Bennett, Lakin Tucker and Alex Easthorn accounted for all other scoring for the Red Devils, as each finished with nine points. 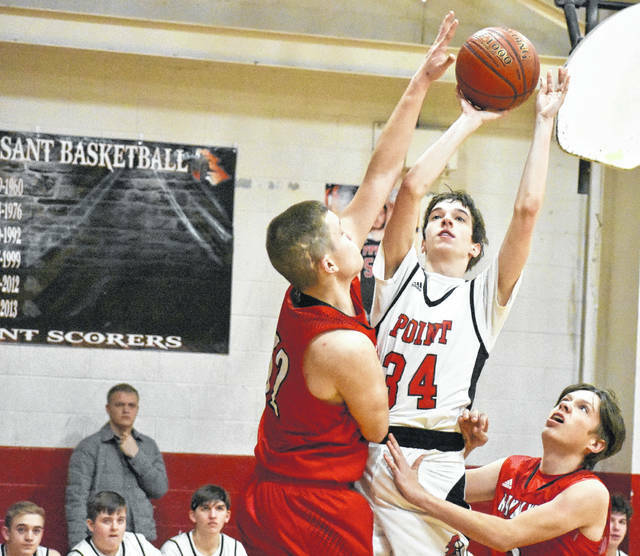 Point Pleasant played Saturday at South Point and returns to action Tuesday when Eastern visits The Dungeon for a non-conference contest at 7 p.m.